Go beyond video asset management with videoShare. Viewers retain 95% of a message when they watch it in a video. All the more reason for you to help users leverage the power of this important marketing tool! With videoShare, you can offer your users access to your entire library of video content which they can customize and use to promote their own brand. Plus, you can also leverage these same groups to maximize your own brand reach, and in the process, boost the ROI for your videos. 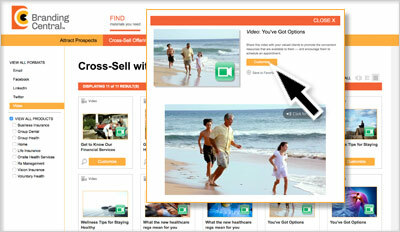 Provides an easy way to find and personalize videos. Not only can users quickly find the video content they need, they can easily personalize it and co-brand it without incurring additional video production costs. 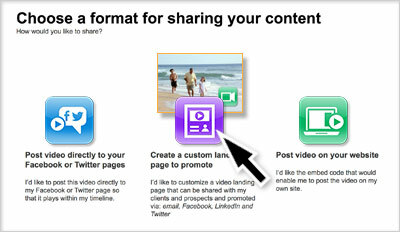 Offers 3 ways to share video content with audiences. Allows flexibility to schedule promotions. 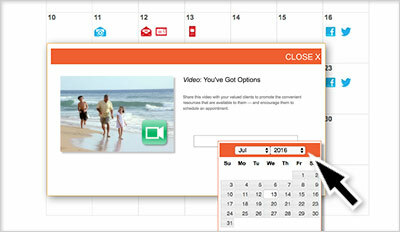 Users can schedule email and social promotions for a video right away . . . or for a later date and time. As an administrator, you can monitor which videos are used, by whom, how often and on which channel. 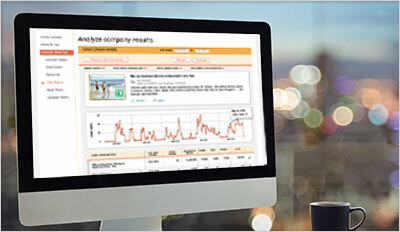 Users can also view specific analytics, such as views and channel-specific data from email, embed code, and social media. Then, based on results, they can make adjustments for greater effectiveness.